The Canadian Women’s Hockey League held its annual draft last night and saw a number of talented women earn the honour to don the colours of the five member teams. 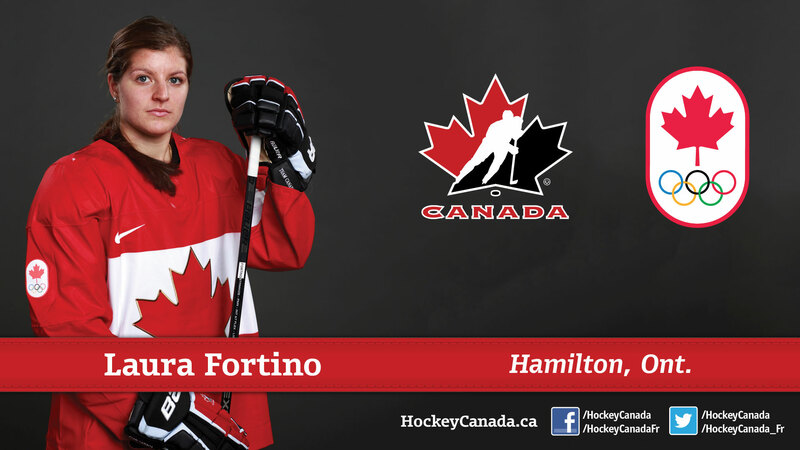 The Brampton Thunder selected Canadian Women’s National Team defenseman Laura Fortino with their first overall pick. The Cornell Big Red star has been a part of the national team since 2011 where she has earned four gold medals and three silvers in numerous IIHF tournaments. Fortino also has the honour of being Co-Rookie of the Year for Cornell in 2009 along with being nominated to the All Rookie and All-Star teams. With the second pick in the draftr, the Toronto Furies drafted towering defenseman Megan Bozek from the United States Olympic Team. The Minnesota Golden Golpher was a monumental part of Team USA’s Silver medal performance at the 2014 Sochi Olympics. A force on the blue line with an incredible point shot, it’s too bad the Furies male counterparts in the Maple Leafs couldn’t suit her up for a game or two. Rounding out the first round, the third pick belonged to the Calgary Inferno who stuck with the Minnesota Golden Gophers and picked up forward Sarah Davis to the mix. The Boston Blades jumped in fourth and drafted dynamite forward Jenny Potter and the 5th pick went to the Montreal Stars who stayed close to home and added forward Kim Deschenes fom the L’Universite de Montreal. Clarkson University had the most picks iced from their domain with four. Another interesting selection came in the 8th round as the Calgary Inferno drafted Aina Takeuchi from the Japan National Team. Interesting to see how that plays out. I adore Megan Bozek. I guess I have a new team to follow now! LOL! And unfortunately it’s a Toronto one! Ha! Eugh, I know. At least they’re more likely to succeed than their NHL counterparts!